The Alumni Center was conceived as a “home away from home” for visiting alumni, as well as a centralized location for the Alumni Associations offices. The site of the former Presidents’ residence, the surrounding gardens were long admired and used for special events. A detailed evaluation of plants, trees and other site features was conducted to assist the architect in locating the building and establishing circulation patterns. 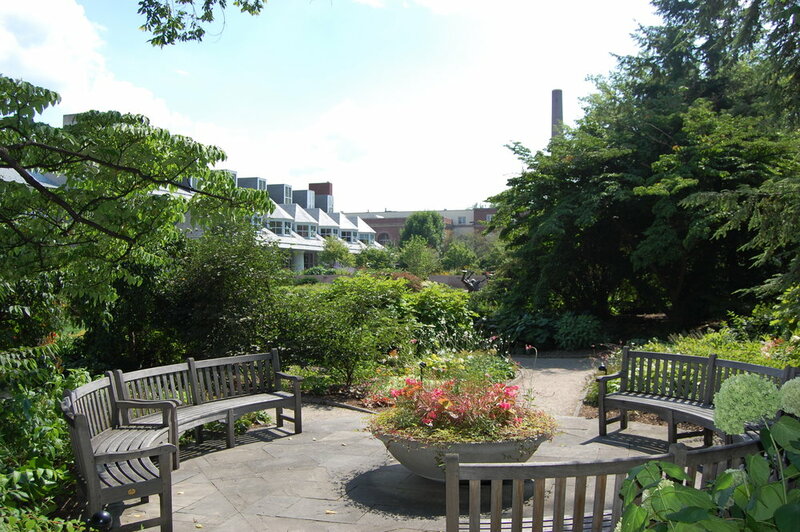 Preservation of the gardens was considered a priority from the beginning and fortunately, most of the gardens and significant trees were preserved. 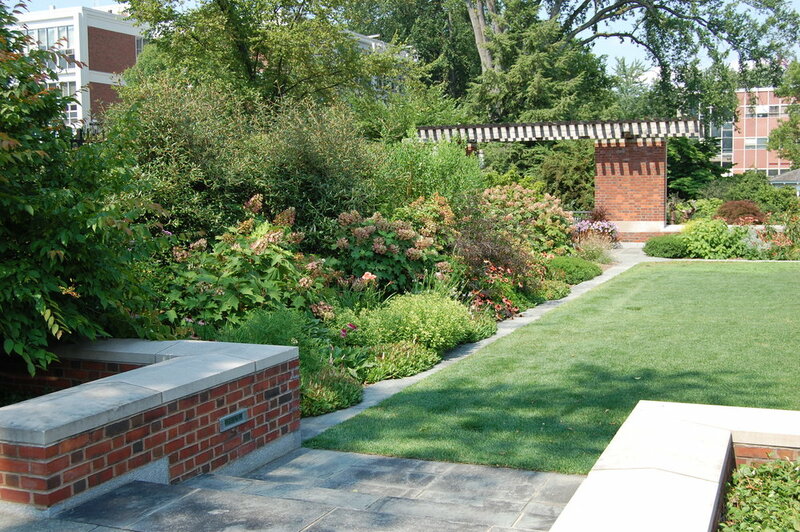 New garden spaces were developed including the central “tent lawn area.” This event space bordered by perennial beds incorporated a special soil mix to prevent compaction during intensive use. The large gravel bed beneath also functions as part of the site's storm water system. A master plan for the remainder of the site was developed, which helped guide renovations of the remaining gardens.